If you do not click Process Immediately, then you must select the links that you want to verify, and click Verify Selected URLs. If you click Process Immediately, then you skip this step, and Evergreen jumps directly to the results of the verification attempts as seen in the next step. 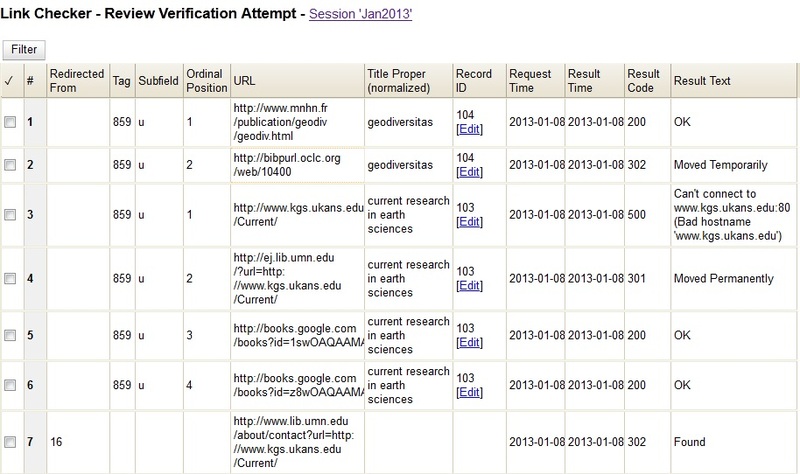 Evergreen displays the results of the verification attempts, including the tags that you searched, the URLs that Evergreen retrieved, the Bib Record ID, the request and result time, and the result code and text.